This Russian ormolu 12-light chandelier has a remarkable design. Eight ribbons run from a central hub to the main ring. The ribbons are elaborately decorated with palmettes and stylized owls. On the central ring the candle holders are placed in pairs on four blocks that are decorated with putto heads. On top of each of the four blocks there is another candle holder. 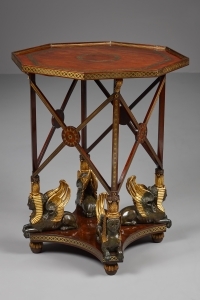 From these blocks a plain ribbon runs upward to a small decorated ring that holds a pedestal with a putto on top. 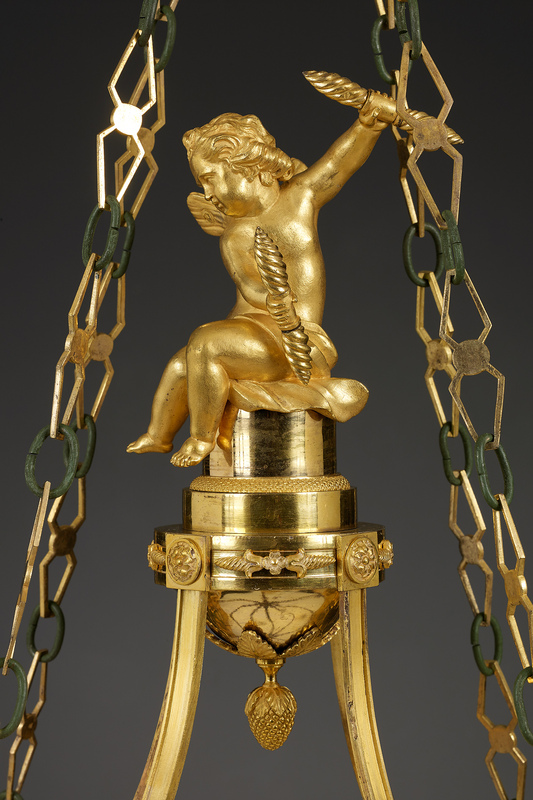 The chandelier is supported by four chains of alternately green lacquered and ormolu links that hang from a small crown decorated with palmettes, stars, and flowers. The main ring is decorated with appliques in the shape of elongated lozenges decorated with palmettes and a male mask in the middle. On top of the ring are four appliques with swans drinking from a fountain. 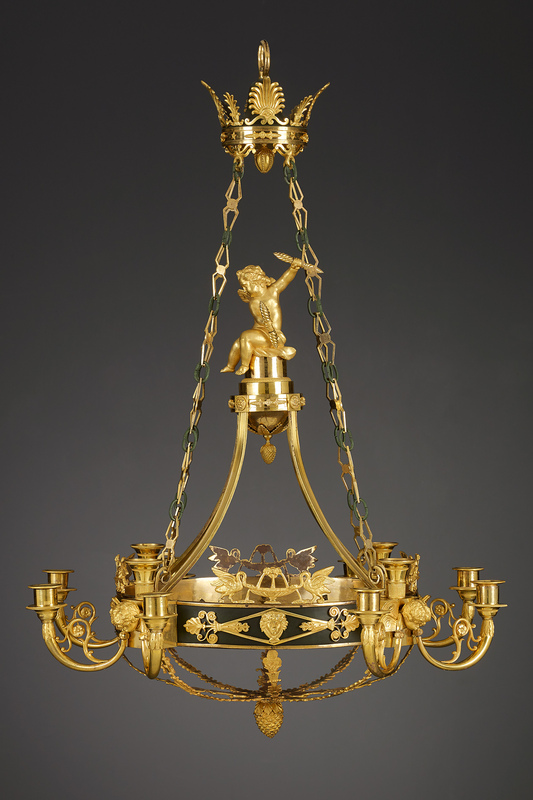 This chandelier can with confidence be attributed to Andreas Johann Schreiber (Andrei Ivanovich in Russian). 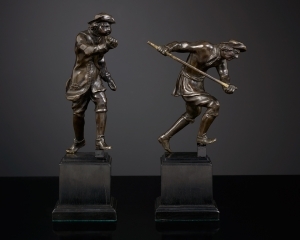 Schreiber was born in Tartumaa, Estonia in 1777 and moved to Saint Petersburg to work as a bronze caster. His company mainly supplied the Russian Court. As was customary at the day, the objects made for the Czar were never signed or stamped. 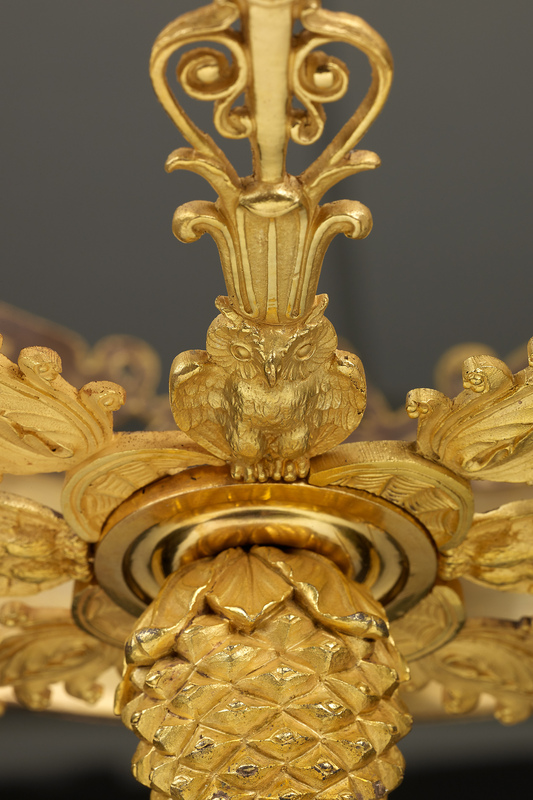 Schreiber made among other chandeliers for the Pavlovsk Palace and the Mikhailovsky Palace. 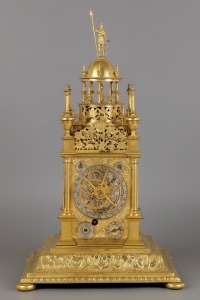 He also made bronze ornaments for the Anichkov palace, the Elagin palace, and the winter palace. Schreiber frequently worked with leading architects. In 1801 Schreiber settled in the Saint Petersburg Lichovka district, where, with the help of his sons Ivan and Pavel, his company grew to more than a hundred coworkers. In 1809 Schreiber advertised in the Saint Petersburg Gazette (5 October 1809) with the announcement that he manufactured: “chandeliers, wall lights, table lights, candle sticks, vases, ornaments for fireplaces, and bronze decorations.” (Igor Sychev, Russian Bronze, 2002, pp. 94-95). Eventually he was rewarded with the title “Bronzier de la Cour de S.M.I.”. Schreiber died in 1843, whereafter his son Pavel continued the business. The company was sold in 1847.